On February 28, 2014 Hong Kong hosted IAIR award ceremony. The international financial award ranked the achievements of more than 30 companies recognizing the features of excellence in them. Once again, InstaForex earned an award and title of the Best Forex Broker Eastern Europe 2014 from IAIR, the well-known business edition. Increasing its presence on the European financial markets, InstaForex justifies the confidence and faith of its European clients and partners. For the first time the broker received the IAIR’s recognition in 2012. The сompany’s achievements in the sphere of finance reflect its aspiration for self-improvement and say for its stability, professionalism and supreme quality of the services provided. Now an extensive collection of InstaForex awards was supplemented with another international award which acknowledges the company as influential and recognizable brand. 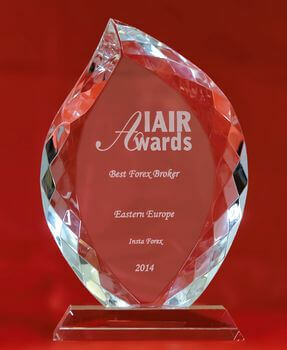 For context, IAIR Awards is one of the world’s prominent awards for progress and sustainability in global economy. IAIR is one of the leading European editions that received the patronage of the European Commission.